Most of your immune system, roughly 70­-80%, resides in your gastrointestinal tract, where trillions of microscopic organisms live and perform a variety of functions. The activities of these bacteria, yeasts, viruses and the compounds — collectively the microbiome — they create have major effects on our health impacting everything from nutrient absorption to our emotions and ability to think. Like our skin, the interior surface of our gut is technically outside of our body, a place called the lumen, which is essentially a tube through which food and water pass. The lumen is coated with diverse microorganisms whose cells outnumber our own by a factor of ten to one(1). Many species of bacteria are extremely helpful to us, aiding in digestion, producing hormones and neurotransmitters, and keeping harmful organisms at bay. While some organisms are clearly not healthy for humans to encounter, we will never be germ-free, and many types of bacteria bring health benefits that would be either difficult or impossible to achieve without them. Two key activities where the microbes are important for human health are regulation of the immune system and production of neurotransmitters. The presence of diverse bacteria is important, but equally if not more important are their genes and metabolites. Beyond simply preventing harmful microbes from colonizing the gut and damaging the lumen, bacteria and yeasts actively regulate the immune system by producing metabolites. 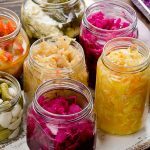 This is generally for their own survival, but also often has side benefits for us as the hosts, such as by reducing inflammation that the body might otherwise use to attack the bacteria. Short chain fatty acids (SCFAs) are one type of abundant metabolite, produced when gut bacteria ferment dietary fibers found in vegetables, grains, legumes, nuts, and fruit. SCFAs such as butyrate reduce inflammation, while also inhibiting the growth of harmful organisms like Candida albicans, a fungus that thrives on high-sugar diets and can cause serious illness in people with weakened immune systems. SCFAs also boost the production of myeloid-type blood cells, which help clear systemic infections and reduce allergic reactions(2). Microbes in the gut convert various proteins and molecules found in food, such as tyrosine and tryptophan, into neurotransmitters like dopamine, serotonin, norepinephrine, acetylcholine, and gamma-amino butyrate that our bodies need to survive. Each of these chemicals profoundly impacts our mood, cognition, and energy levels. Some bacteria can even stimulate sensory neurons in the gut that send signals directly to the brain via the vagus nerve(3), referred to as the gut-brain axis. When the microbiome goes out of balance, whether due to diet, stress, or antibiotics, diseases can arise. 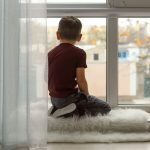 Considering the numerous and complex interactions between our bodies and gut microbes, it’s not surprising that the range of potential problems is equally wide, with effects on autism, depression, anxiety, asthma, allergies, autoimmunity, and cancer. Two common sources those negative outcomes involve microbial overgrowths. The large intestine is home to the majority of our microbiome, although some microbes thrive in smaller numbers in the mouth, stomach, and small intestine. 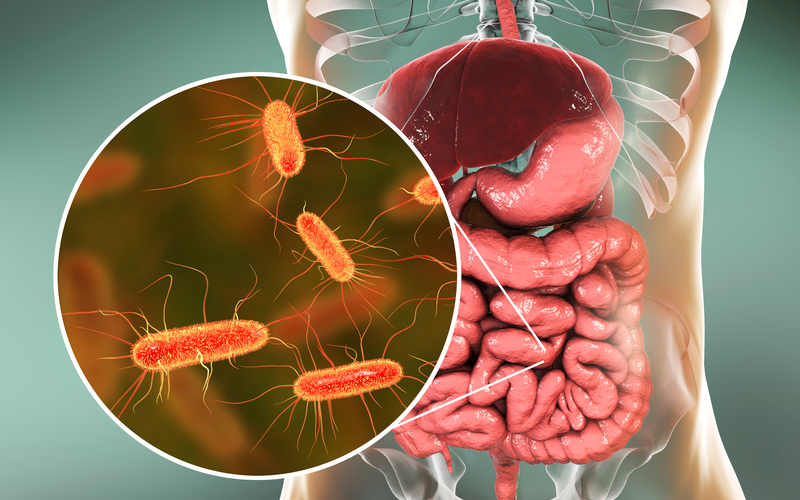 Small intestinal bacteria overgrowth (SIBO) is a condition in which the presence of excessive amounts of bacteria populate the small intestine and interfere with nutrient absorption. Similarly, a fungus called Candida albicans, which is normally present on humans in small amounts, can grow out of control and attack the lining of the gut, sometimes breaking through to release harmful compounds into the bloodstream in a condition called leaky gut. Humans are not entirely autonomous creatures, so keeping our microbes happy goes a long way towards making us happy. To learn more about your microbiome and ways to improve any related conditions you may be experiencing, contact me for an in-depth consultation. And stay tuned for my next blog post about how I treat different conditions using diet and specific strains of probiotics.